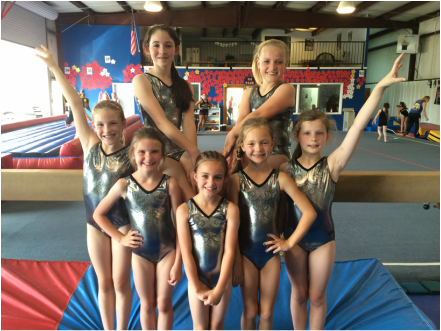 Our team competes in compulsory and optional levels through the GA AAU and the USAG programs. We add new team members during the summer. If you think you are interested in joining the team, please join a class now to prepare to join the team in May. Check out all of our State Champions! 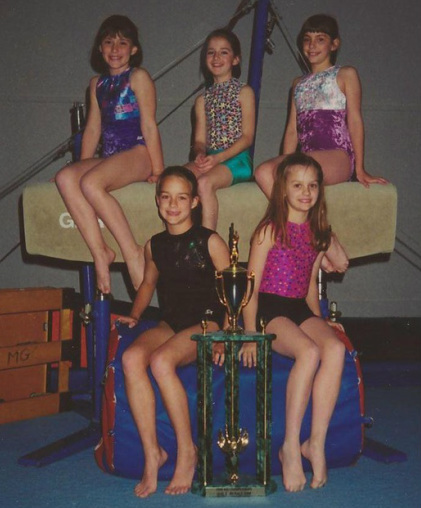 Interested in joining our competition team? Try out during the summer. Practice with the team May, June, and July. Final evaluations of skill level are made at the end of July. No new team members are added after July. 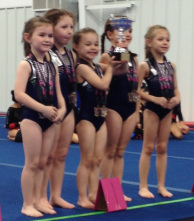 We had an excellent 2024-2015 competition season. Please check back in the fall for our 2015-2016 competition schedule. *The competition schedule is subject to change. Fourth Place Team in the State!